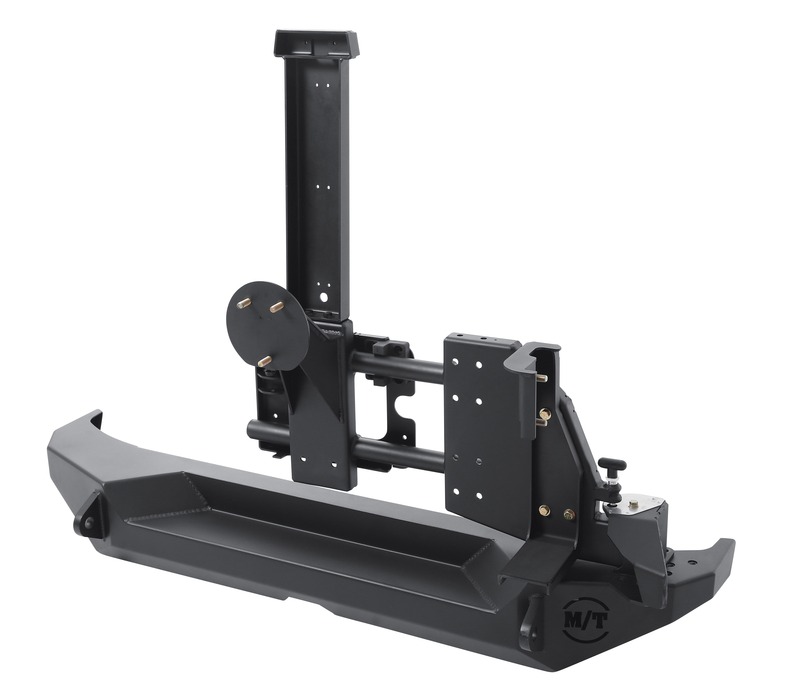 STOW, OH – May 27, 2014 – Made in the U.S., the new M/T Metal Series bumpers from Mickey Thompson offer extremely durable, lightweight, modular construction in a classic black, two-stage powder coat finish. 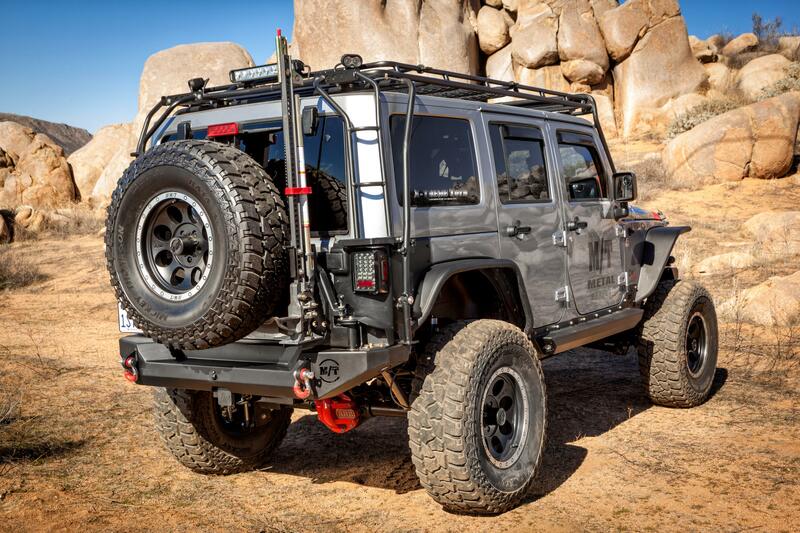 The rear bumper, a complement to the modular front bumper introduced several months ago, includes an optional tire carrier that swings out with the tailgate for easy, one-handed operation along with integrated rock light ports and welded ¾-inch D-ring mounts. And, the tailgate operation is specially designed to lock in the open position when the vehicle is on an uneven surface. All the new Mickey Metal Series bumpers include heavy-duty frame attachment points for rock-solid installation and reliability, and the tire carrier isolates the factory door from excess weight related to large diameter tires. The new M/T Metal Series bumpers, tire carriers, third brake light mounts and high lift jack mounts are available for Jeep JK model years 2007 and newer. For more information, visit http://www.mickeythompsontires.com/metalseries.php?item=Rear. Max-Trac Tire Co., Inc., dba Mickey Thompson Performance Tires & Wheels, markets racing and high-performance tires and wheels for street, strip, truck and off-road applications. The company was founded in 1963 by racing legend Mickey Thompson and is headquartered in Stow, Ohio, USA. For more information, visit http:/www.mickeythompsontires.com/.